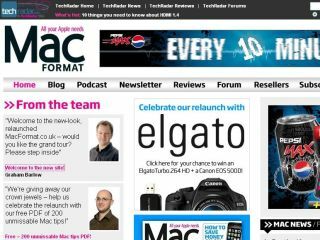 MacFormat – part of the TechRadar network – has now relaunched online with a sparkly new website. The monthly Apple bible has finally been given a long-awaited internet makeover and to celebrate that it has released a PDF version of its celebrated 200 unmissable Mac tips. Graham Barlow, the editor of the magazine, says: "It's not just a lick of paint we've given the site, either; it's a ground-up rebuild, hosted on a proper, modern back-end that will let us grow and evolve the site in exciting ways over the next few years. "Our homepage brings everything together. You'll see featured blog posts from the team – and some of our best contributing editors…"